The other day I realized that I do need to be systematic to stay organized and to be organized to feel productive (thank you, Jill Weatherholt). Chaos doesn’t work for me. Neither does too much spontaneity. Some, yes, but not too much. I keep trying to get organized around poetry, and it keeps fighting back. I had the possibly annoying brilliant idea that I would come up with a systematic way to share poetry tidbits and trivia (called T2) on a more regular basis. But what structure to use for that systematic organization? Heh. I tried birth dates of poets. You know, like this: it’s June 20, so I will share something about Irish poet Paul Muldoon who was born on June 20, 1951. Kinda left me cold. Not Muldoon or his work, but his birthdate as an arbitrary choice of tidbit or trivia. It was during her undergraduate years that Plath began to suffer the symptoms of severe depression that would ultimately lead to her death. In one of her journal entries, dated June 20, 1958, she wrote: “It is as if my life were magically run by two electric currents: joyous positive and despairing negative—whichever is running at the moment dominates my life, floods it.” This is an eloquent description of bipolar disorder, also known as manic depression, a very serious illness for which no genuinely effective medications were available during Plath’s lifetime. I’m sure I read that before because when I was Plath-obsessed I studied her journals pretty, um, obsessively. But I wouldn’t remember that she wrote that on a June 20, would I? And while this is a very important quote for anyone with or touched by bipolar disorder, many other Plath quotes speak to me much more. What I really like to do with poetry doesn’t have a lot to do with systems or schedules (maybe poetry fights back because it doesn’t like systems). I like to write it, for one. Too hot right now for that (we’re having a dangerous heat wave in Arizona) When I taught future elementary teachers, I had them make big posterboard collages for teaching particular poems. I like to make collages about poems, too. Too hot for that for sure. I like to read poems and write in a journal the most random idiosyncratic* responses to them. Yup, peculiar. Hah. Individual. It also means one-of-a-kind. My paper was one-of-a-kind. I had no idea. But I was perceptive enough to realize that it wasn’t good to be “idiosyncratic” in grad school. (It was worth it because now I love the word). Back to the subject of what I like to do with poetry. Journaling about poetry is therapeutic and creative. It’s lots of fun. Have I mentioned I haven’t done it in a long time? So it isn’t just the heat over here. You can see why I want some interesting way back into immersing myself in poetry that isn’t just the poetry I’m writing. I am lazy. And easily distracted. I thought maybe if I shared a poetry T2 on a regular basis, even if it’s within a post about something else, it would be a way of playing with poetry. Like making mud pies or playing with a bucket in the sand. Maybe if it’s just fun, poetry won’t notice that there is a schedule/system in place. Let me know, please, if you have ideas for what kind of T2 you would like for me to share about poetry. Maybe it’s not as hot by you . . . . After all, it did get to 118 yesterday. If I’m feeling gloomy, trapped by the confines of daily life, I like to read Sylvia Plath poems. For some reason it makes me feel better to read them. I have no idea why reading such angry and angst-filled poetry does so. Maybe it’s like listening to sad and beautiful music. Just count the amazing images used to describe feeling so heated from fever that the speaker is no longer purely human. Below you will find both a video version and a text version. One thing about poetic images. There are a lot of wonderful 20th century poems that use images of pop culture that are remembered by fewer and fewer people. It’s a sad fact that what makes the poetry immediate and vivid can also be what ages it. For readers who don’t know what Isadora’s scarves refers to in the poem, let me share this before you listen to the poem. 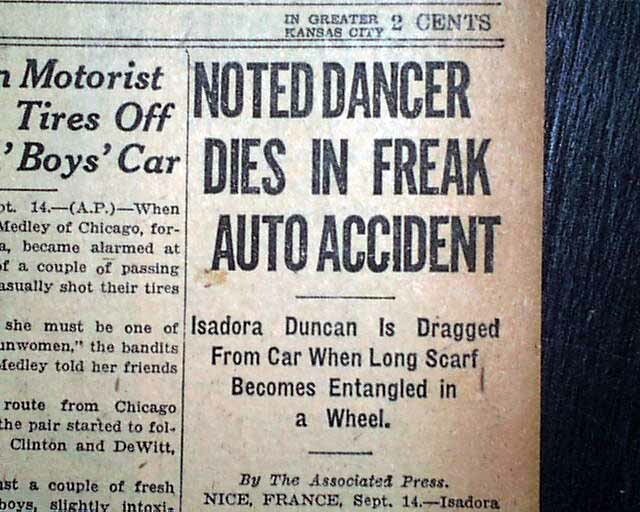 Isadora Duncan was an American modern dancer–very famous– who bought a new open (like a convertible) car. She was given to dressing dramatically, so she wore a long scarf that blew out of the car, trailing after her. Unfortunately, it caught on a wheel and killed Duncan. Without further ado, listen to Plath’s marvelous voice reading this exquisite poem. Be sure to listen for the movement from Hell to Paradise. Water, water makes me retch. Now that I’m writing a memoir of my life, I have to admit that sometimes as I write I feel that I am performing my own life. You know: like a performer up on stage singing or dancing with emotions blazing. I wrote a dissertation years ago called Performing Identities. Actually the full title is Performing Identities: The Spectacle of Multiple Identity in American Women’s Poetry. Although I once lived and breathed this project, I had to look up the title for you as I no longer remembered it. Searching online, I discovered it’s available at three whole libraries–in their archives and, in one case, in their “rare book room.” (Even writing that I am laughing at the thought). I don’t know if the durn thing has ever been read (other than by my dissertation advisors and my friend Wilma Kahn who edited it), except by my parents who thought there were some disgusting passages (especially quotes from Sylvia Plath’s journals about–and I kid you not–nose picking). That thought reminds me of that Seinfeld episode where Jerry’s girlfriend dumps him because she suspects him of picking his nose. Actually, there is a Seinfeld episode for almost everything, and I am always quick to remember them. I think of comedians as writers who take performing to the nth degree. 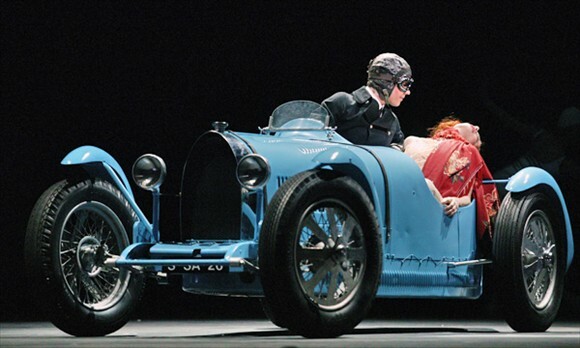 Back in grad school, as I read poetry, I saw that poetry seemed to be the performance of identity–where the poet tries out masks composed of bits of her own identities. I studied the work of symbolic anthropologist Victor Turner who argued that our very lives are performative, so it wasn’t a big step to notice the performance aspect of writing. But I never felt like I was performing when I wrote poetry or lit crit. Writing my memoir I am engaged in the act of performing my life. It’s as if I stand on stage acting out a part written by myself which I have already lived. What an odd feeling. And yet it’s a feeling of engagement and with it comes a little hint of stage fright. But the memoir writer does take bits and pieces and large swaths of herself and uses them to create the personae or identities she uses in her work. The work itself performs these identities, making the identities live just as a puppeteer brings the puppets to life. I wanted to share something I found when I searched online for my dissertation. There is a website called Classify, an experimental classification web service. It made a pie chart of the contents of my dissertation. That means a little scrap of all that work resides on the internet ;). It’s true that I own a lot of books. I don’t like the word hoarder, but once a book comes into my possession, I don’t care to give it up. I take good care of them, so why shouldn’t they gravitate toward me? I don’t steal books, though. When I borrow a book from a friend, I put it in a large Baggie so that I don’t damage the cover, and I eventually give it back. I can’t say that for everyone who has borrowed from me. You know who you are. So it’s very unusual for me to damage a book. That said, I own a book I have read far too many times, and it looks it. I purchased my version of Sylvia Plath’s The Collected Poems at least two different book designs ago, probably in the 80s. 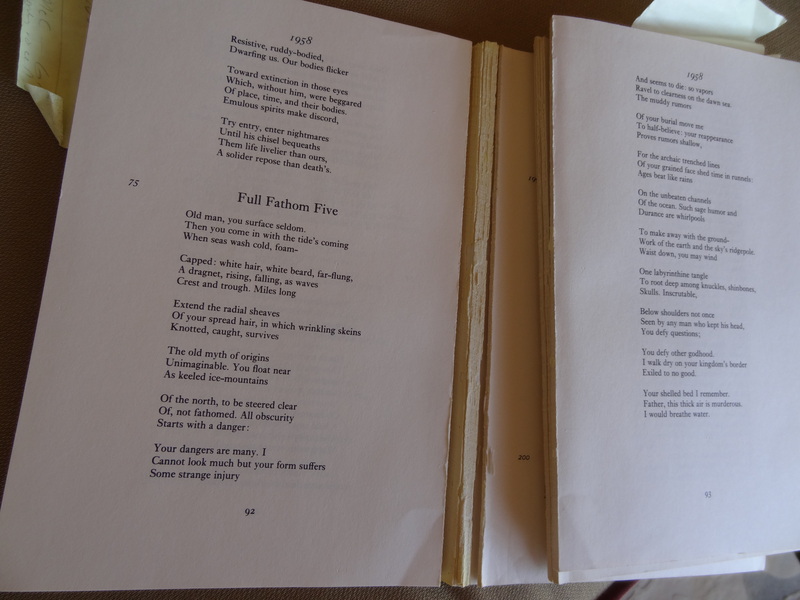 I’ve damaged this book by loving it–the spine is broken and sections of poems spill out by accident. 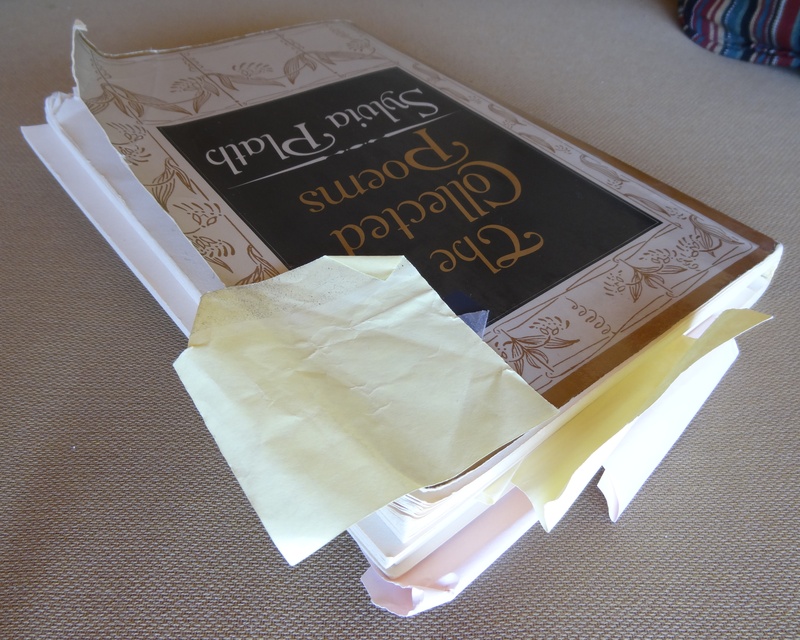 Old post-it notes, marking poems I’ve studied or researched or just love more than the others, hang out the top. For my master’s in English, I explicated (def: rip apart with intentions to destroy an indestructible poem) a Sylvia Plath poem “Fever 103.” At the time I was working on it, I found an old LP in the university library with Plath reading her own poems. I also ordered earlier drafts of “Fever 103” from the Smith Library and discovered excised lines which tickled me no end. Today the recording is readily available, but back then I felt as if I’d discovered the Holy Sylvia Grail. Disclaimer: I am not, nor have I ever been, a Plath groupie. Thank you for understanding and accepting that fact. Before I could read I owned a picture book which looked like a Little Golden Book, but might have been published by a different company. It was an illustrated version of the lullaby, “All the Pretty Little Horses.” I begged my mother to read me that book every night, wanting to re-imagine all the different colors of horses. A couple of years later, my mother gave me my first volume of poetry for Christmas, called Sung Under the Silver Umbrella. I treasured that book, even through the middle-school years when my friends made fun of poetry. I still have the book. For years I felt as if the book were my own little secret–that it had a readership of one, and that I was alone in the world with the poems. Imagine my surprise to learn that one of Sylvia Plath’s favorite childhood books was the same one I loved. This book was first published for children in 1935, when Plath was three years old. When I got it, the book had been out for a full generation. And drawers all spilly with things inside. Bananas and rubber boots in bunches. Before my father hauled garbage, he worked in sales, hawking teepee burners. In the sixties, these giant iron pyramids were sold to city dumps to burn mill waste. They were shaped like teepees, hence the name, and banded with iron straps. 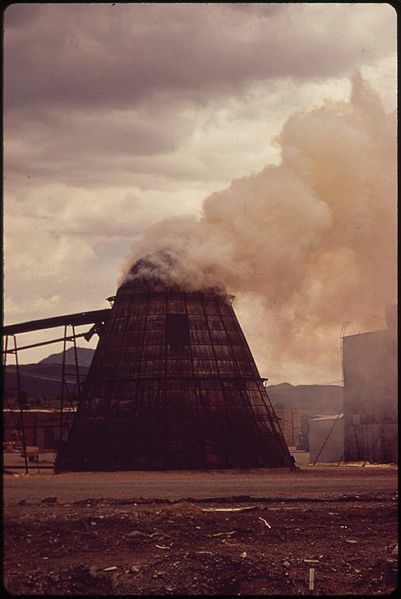 Since the only dumps which needed teepee burners were in cities with paper mills, Dad’s territory was enormous and he had to fly to many of his accounts. At three, I sat on the bed while Mom tucked Dad’s socks and underwear into the corners of his suitcase, around his second suit and the shirts which had been starched and folded at the dry cleaners. “How will Daddy fly there, Mommy?” I imagined my father traveling with Peter Pan. The next morning, my father wore a gray wool suit with a pocket handkerchief embroidered with his initials tucked into the breast pocket. His dark hair, graying at the edges, was swept back from his forehead into a little mound, a remnant of his teen pompadour. He stooped down to me in the airport parking lot and hugged me, rocking me from side to side. He kissed the top of my head. I studied his black wing tip shoes and their intricate pattern of tiny punch holes. Then Dad stood up and kissed my mother goodbye. She and I stood at the chain link fence and watched my father climb the steps into the plane. As it took off into the sky, we both waved goodbye to Dad’s plane. The plane slid above us across the filmy clouds, my daddy’s black shoes hanging from the plane’s belly. As he tucked them up smartly into the plane, I wailed while Mom hustled me to the car. I’ve never been able to leave this image behind. The shoes being pulled mechanically into the sleek, sealed belly of that plane. I learned much later that the shoes were the wheels of the plane. Why was this memory so important? Armed with Sven Birkerts’ wisdom about the memoirist using present-day understanding to interpret the past, I realized that the memory was connected to writing and reading because it only follows me down those paths. Perhaps coincidentally, I recently had begun studying more thoroughly the experiences of adoptees like my children and my brother. 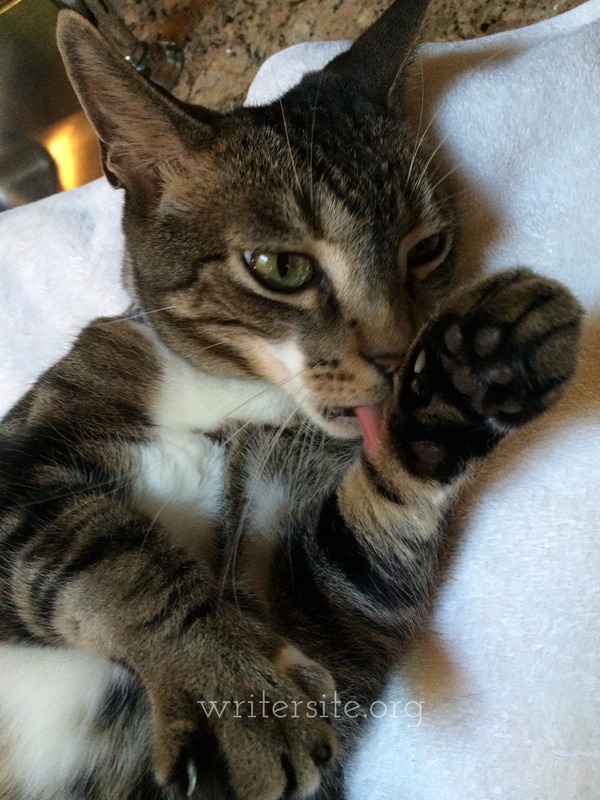 The lives of adoptees are saturated with a profound initial loss. Since I was the “birth child” in my family and I had grown up with my biological parents, sharing holidays with the extended family, I’d never thought of loss in my own life. After all, I have been so blessed with family, both bio and adoptive, and a husband of (how many is it now?) 37 years. Now I belatedly recognize that what I felt that day standing in a row of weeds at the fence was loss. I thought that my father was gone forever, swallowed up by that metal monster in the sky. Maybe if I’d been in my mother’s arms when we waved, it would have eased the moment. But we stood as two separate entities waving up into the sky, our hands fluttering futilely, it seemed to me. When my father came home from his business trip, I no doubt saw that he was alive and healthy. I had him back. That part I don’t remember. The “poor and white, / Barely daring to breathe or Achoo” had such resonance for my younger self. That stanza felt ready-made for me. What serendipity. The wing does not abandon me, but takes me writing, just as I saw that plane gliding up above me. The plane I wanted to follow behind. Do you experience coincidence or serendipity in your own reading and/or writing?